All the cast of 'Game of Thrones' all had tears in their eyes while they were reading the script for the eighth and final season of the award-winning show. The cast of 'Game of Thrones' all had tears in their eyes while reading the script for the final season. 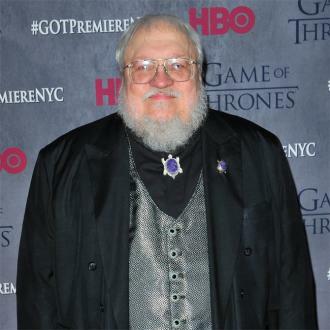 The surviving cast members of the hit HBO show - which is based on the books by George R R Martin - have been working on the final six episodes of the fantasy drama series and a table read which spelled out the fates of those left proved to be emotional. Speaking at 'The Best of HBO' panel at the INTV Conference in Israel, the network's Senior Vice-President of drama Francesca Orsi said: ''It was a really powerful moment in our lives and our careers. None of the cast had received the scripts prior, and one-by-one they started falling down to their deaths. 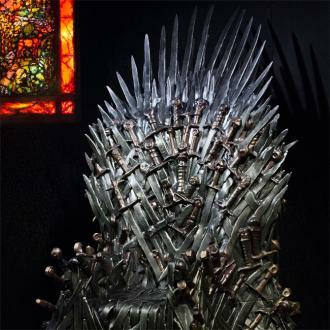 The final season will see cast members including Kit Harington (Jon Snow), Emilia Clarke (Daenerys Targaryen), Peter Dinklage (Tyrion Lannister), Sophie Turner (Sansa Stark), Maisie Williams (Arya Stark), Isaac Hempstead Wright (Bran Stark), Nikolaj Coster-Waldau (Jaime Lannister), Gwendoline Christie (Brienne of Tarth) and Lena Headey (Cersei Lannister) take on their roles for one last time. Although the show is coming to an end when it airs in 2019, the creators of the series recently announced there will be spin-off shows in the works and Francesca revealed it is still going to be big. Meanwhile, former 'GoT' star Rose Leslie recently revealed she threw her fiance Kit out of their house so she wouldn't pick up any spoilers for the final season. The 31-year-old actress bowed out of the fantasy drama series - on which she played wildling Ygritte - in season four but she's still an ''avid fan'' of the programme and is looking forward to seeing how the show will end in 2019. However, Rose is so determined for what plays out on screen to be a surprise, she won't even let Kit read his scripts in their house as she can tell from his facial expressions and body language what is going to happen. She said: ''Talk about being an avid fan, I obviously am of 'The Good Wife', but with 'Game of Thrones', I'm like the rest of the world. I'm waiting for the new and final season. ''I remember over the summer obviously the new episodes for the final season were coming through onto his iPad. I can read his facial expressions. I don't want to know anything that's going on within his eyes, so I sent him packing.